For gorgeous patio doors that open effortlessly, look no further than Wisconsin Weatherall. We offer homeowners in Waukesha and surrounding communities in southeastern Wisconsin a fantastic selection of home upgrades from ProVia® – one of the most well-known and respected manufacturers in the door industry. We sell and install sophisticated sliding patio doors that are available in all-vinyl construction as well as vinyl with an optional wood interior. Each option can be stained or painted to match your preferred aesthetic. 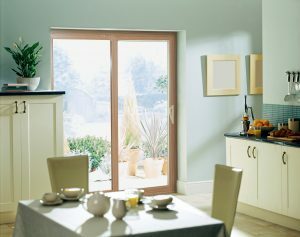 We also offer stylistic French doors. When you turn to Wisconsin Weatherall for your new patio door system, you can count on us to complete an installation in a timely manner with stellar workmanship. Our skilled, company–employee installers – not subcontractors – will make sure you get the most out of your new home upgrade. Our commitment to professional installations and satisfying our customers has helped us earn a number of accolades throughout our time in business, including an A+ rating with the Better Business Bureau. Contact Wisconsin Weatherall today to learn more about the patio doors we offer. 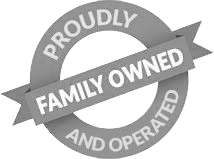 We’ll gladly answer any questions you have and speak with you about the excellent financing opportunities we have available for qualified homeowners in Waukesha, WI, and surrounding southeastern Wisconsin communities.